No matter how strong your concrete structures are, sooner or later, they will begin to deteriorate. 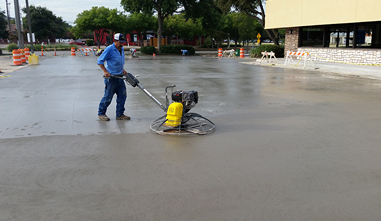 For this reason, Renco Construction offers residential and commercial concrete repair services throughout the Dallas area. If you notice a problem with your sidewalks, parking lot, ramps, or roads, our team won't hesitate to give you a visit and evaluate what is causing your issue.. We understand that seemingly minor problems are often signs of much more serious structural issues, so we will inspect the entire structure in depth. Once we have uncovered the full scope of the problem, we will make quick, comprehensive repairs to shore it up. We will also advise you on how best to protect your structures from future damages.